You are here: Home › The "Do" › Protocol and Etiquette: What’s the Deal? Look up, speak nicely, and don’t twiddle your fingers! Turn out your toes. Curtsey. Open your mouth a little wider, and always say ‘yes, your majesty’! This quote from the Disney movie is actually a conglomeration of lines from the the Red Queen in Lewis Carroll’s Through the Looking Glass. Carroll often poked fun at the rigidity and stodginess of Victorian manners. I wonder, if he were around today to see how we practice martial arts, if he wouldn’t have a chuckle at our expense as well. Some taekwon-do instructors impose a lot of protocol and etiquette rules. And, strictly by the book, these rules are to be followed outside the dojang as well as inside. 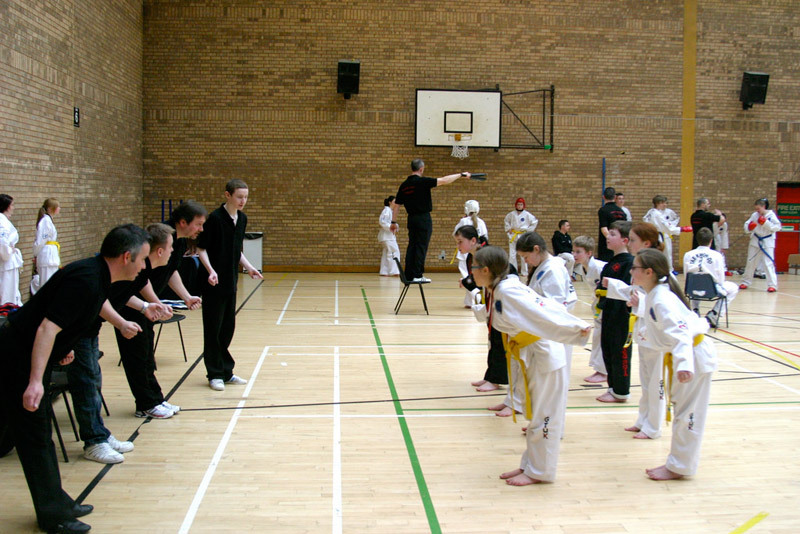 When bowing to a senior belt, the junior initiates the bow and stays in the bow position until the senior has raised their head back to standing. When walking away from a senior belt, take three steps back before turning around. When entering the dojang, bow to the instructor, then the assistant instructors, then the flag. When walking through a door, allow senior belts to go before juniors. A junior belt should run ahead to open the door and hold it open. Don’t show the soles of your feet to senior belts, except as part of training exercises. When seated, if a senior belt stands, all lower ranking students must stand (this applies especially to dinner situations). Trust me when I say that this list is far from exhaustive. I’m not completely sure where every one of these practices came from. From what I can tell, many of them are taken from actual Korean customs. Others seem to be borrowed from Shotokan karate and modified to fit the newer art of taekwon-do. Apparently, many of the practices borrowed from karate are not even standard Japanese or Okinawan customs (not in everyday life, anyway). When Gichin Funakoshi brought his karate from Okinawa to Imperial Japan in the 1920s, the country was heavily militarized. Soon afterward, other karate instructors began to incorporate militaristic rituals, in part to form a sense of group identity. The lining up, the endless bowing, the strict reverence for seniors, the commands: these are all things that, while East Asian in their own right, are more a part of an old Japanese military culture than the way that most East Asians go about their lives. In martial arts class, the degree to which these practices are followed depends on the instructor. Some crack the whip on every etiquette rule they can find, while others pay only lip service to the most universal customs. I used to believe that “proper” decorum was a necessary part of any taekwon-do student’s training. Following the rules showed respect to your instructor and seniors. If you think about it, these people are only “senior” to you in that they’ve put more time into a hobby than you have. They might even be younger than you. Perhaps you don’t actually respect them. But we still have to go through the motions. The thing is, going through the motions doesn’t actually show respect. There’s a difference between bowing to someone because you have to and bowing because you respect them. The act (bowing, for example) is not inherently connected to the feeling inside you (respect). Whether I respect you has nothing to do with whether I bow to you. In Western culture, bowing to show respect isn’t even a part of our typical repertoire so it has no direct meaning to us outside of a martial arts context. But taekwon-do is not from Western culture. It’s from Korean (and, by extension, Japanese) culture, right? Well, yes, but what does that really have to do with it? 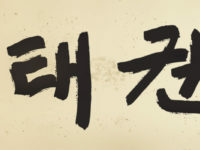 Your ability to punch and kick with good technique, to perform excellent patterns, to be able to defend yourself, or even to become a better person through taekwon-do (as if the martial arts have some kind of domain on this), has nothing to do do with whether you play let’s-pretend with the mannerisms of another country. Some people genuinely enjoy this level of esoteric discipline. 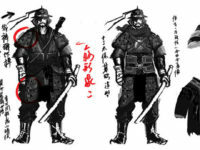 From what I’ve seen, most of those are either Asiaphiles trying to live out some sort of samurai fantasy without even really understanding Asian cultures, or they’re otherwise a little odd and crave that rigid structure and control in their activities. For other people, though, the protocol and etiquette can be awkward and intimidating. I wonder just how many potential students we lose just because people are put off by the—literally—foreign behaviours that are expected in class. All but the most deluded of us realize that we’re only playing warrior for a few hours a week. We aren’t ninjas; we aren’t samurai (I know those things are Japanese, not Korean, but just humour me here). Most of us aren’t even Asian, let alone Korean. We’re doing a form of recreation, not trying to assimilate into another culture. Doing these hollow forms of Korean manners and Korean/Japanese military practices does nothing to help us get better at our martial art. They don’t even help with self-development as many of these practices have little value outside of TKD. And they just make us look weird. A big reason for all the etiquette rules is that they supposedly help us develop our characters and become better human beings. In the Encyclopedia of Taekwon-Do, General Choi has a full section on moral culture, and etiquette is a part of that. I’m not saying that etiquette isn’t important, but as I just said, many of these rules have little value in our culture. In everyday life, we don’t take three steps back before turning around when walking away from someone. Fifty-year-olds don’t call 16-year-olds “sir.” We don’t turn to the right to make minor adjustments to our clothing. Many of these rules are either foreign, antiquated, or overly formal. They teach us nothing for everyday life. We can show courtesy and respect, and develop good character, without the need for inherent forced ceremony. It’s not uncommon for coaches in other sports to ask their athletes to follow certain rules of courtesy and general conduct. But these are up to the individual coach, not the sport. You may see basketball players refer to their coach as “coach,” or as “Mr./Ms./sir/ma’am,” etc. But nowhere is it written that all basketball players everywhere should follow this rule just because they play basketball. Other coaches may be fine with their players calling them by their first names. Every sport will have a few traditions all its own, but for the most part, any rules of behavior are established by the coach or the team, not by the forefathers of the sport itself. And these rules are taken from the team’s own local culture. They aren’t trying to mimic the culture of another country half a world away just to become better people. And there typically won’t be an exhaustive list of rules. Coaches will just try to ensure that their athletes will do their best to act like somewhat responsible members of society and not like total idiots. 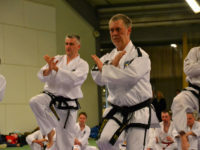 Why should taekwon-do be any different? If protocol and etiquette are supposed to build character, it seems that much of this character is built by showing deference to our senior belts. The higher the rank, the more reverence shown. While the seniors are technically supposed to extend that courtesy back to their juniors, it doesn’t always work that way. If you let it go to your head, the whole thing seems designed to grant a militaristic sense of power to the higher-ups in our silly little hobby. As instructors, we’re not dignitaries and we’re not in the military; we’re coaches. Sure, maybe you don’t consider taekwon-do a sport, but we’re still coaches. We’re coaching people on how to master a set of skills. As such, we shouldn’t ask to be treated as anything other than that. Some instructors I know are very humble people. Others demand rigid displays of respect. But remember how I said that feelings and actions are separate? You can’t force courtesy and respect through artificial displays. Respect is something that you earn through how you conduct yourself. Thankfully, most instructors will earn it whether they strictly enforce all of the etiquette rules or not. If I have earned another person’s respect, there’s no reason that they can’t call me Kevin and still be respectful. This is especially true if the other person is an adult and we are on at least a somewhat familiar basis (I still haven’t made up my mind how I personally feel about kids addressing me by first name in class). That being said, if instructors want to follow strict etiquette rules, that’s their prerogative. There’s no reason that the rules of the dojang can’t be dictated by the individual instructors and not the traditions of taekwon-do itself. I prefer a somewhat more relaxed atmosphere, without all the Asian pretense. But if you prefer to go full-on Hwarang warrior, knock yourself out. There already are discrepancies in the level of official etiquette followed by different clubs, but why does official etiquette exist in the first place? But won’t this create chaos if every instructor makes up their own rules? How do we conduct ourselves at tournaments and such? I’m not saying that we have to toss out everything. Some practices, like bowing, are simple to adopt (although we don’t actually do it like the Koreans do) and help us identify ourselves as a group. When we bow we sort of say, “This is who we are; this is what we do.” These things standardize practices around the world and build a global identity for us as TKD practitioners. I just don’t think we need to bow so much. Before and after a sparring match? Fine. At the beginning of a tournament? Sure, why not? Before you perform your pattern at a tournament? Yeah, I’m fine with that. If you want to bow the class in at the start of a training session, even that works for me. Anything else (including all the non-bowing etiquette activities) is just superfluous and should be left to the discretion of individual instructors and their students. Fostering a sense of courtesy and respect is a good thing, but following these pseudo-Asian customs doesn’t inherently do that. Forget all the prescribed pageantry. Instructors should try to foster a sense of respect and courtesy that aligns with local customs. These quaint shows of etiquette are nice, but doing them rigidly and going out of our way to do so just makes us seem weird. Running around in pyjamas while kicking pads and boards makes us seem weird enough. We don’t need to add fuel to the fire. Why Do We Say “Taekwon” When We Bow? I have to say i have enjoyed a lot reading your articles. I agree with almost everything and this is one of those thing that i have never understood. My own master explained bowing years ago that it’s more like “hi” and once you have said it there is no need to say it again. Thats why i don’t expect my students to bow before or after exercise althought some of them do bow anyway.